Despite its growing popularity, flipping houses isn’t the only way to make money fixing up undervalued assets. If you have the right temperament and know-how, you can also turn a profit flipping cars. I’ve spent a lot of time learning how to successfully buy, fix, and sell old cars. In this guide, I’m going to outline the anatomy of a successful car flip and provide an actionable game plan for handy amateurs wondering how to translate their passion into an income-earning side project. Along the way, I’ll provide tips and cautions that successful flippers have found useful so that you don’t needlessly stumble onto preventable pitfalls. 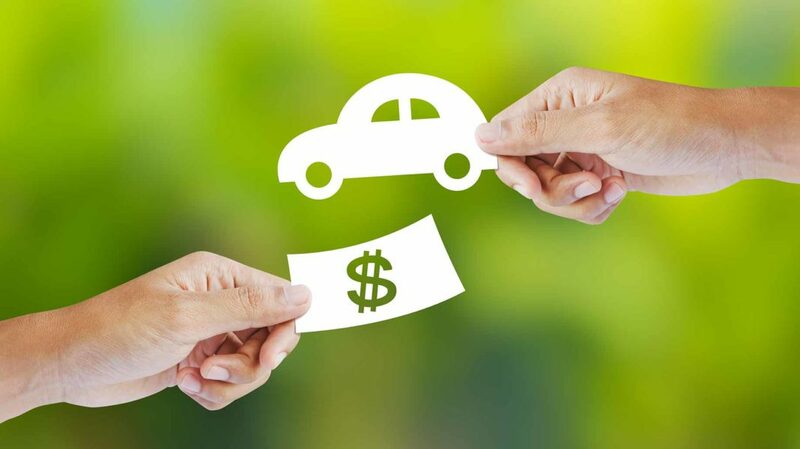 Read on to learn more about flipping cars to earn extra income in your spare time. First, and most importantly, you need to get right with the law by making sure you have an appropriate dealer license and meet all of the requirements. Every state requires prolific auto sellers to register as dealers. Applying for and maintaining a dealer license is a time-consuming, paperwork-laden affair. It’s costly too. Between license fees, surety bond fees, and various regulatory expenses, you can expect to spend at least $1,500 to get legal. If you lease commercial space for your operation, you need to budget hundreds or thousands each month for rent or overhead. Fortunately, small-time flippers who technically qualify as dealers can usually skate by without formally setting up shop, provided they don’t violate local ordinances by clogging their yards and streets with extra cars. Obtaining a dealer license isn’t practical or sensible for casual flippers. However, if you enjoy car flipping enough to make a legitimate side business out of it, the economics may work in your favor. Dealer license requirements vary by state. In Vermont, you can sell up to “12 vehicles per year that are owned but not registered by you” before you need to apply for a dealer license (per DMV.org). Some other states have lower thresholds. To avoid civil or criminal penalties for selling cars without a dealer license, check with your state motor vehicle registry before going any further. Public Auctions: If you’re not a licensed dealer, public auctions probably offer the most bang for your buck. (Dealer auctions, which have fewer buyers and, potentially, better deals, are open only to licensed dealers.) Public auction inventory typically includes cars repossessed by lenders, seized by governments over unpaid taxes or other liens, forfeited by drivers charged with serious offenses, and abandoned in public rights-of-way. In major metropolitan areas, public car auctions occur weekly or even more frequently; even in less populous areas, governments typically auction off repossessed vehicles at least once per month. Private companies are also in the public auction business – for instance, Manheim has a nationwide network of auto auction houses that cater to dealers and the public. Public auction deals are usually better than private party sale deals, since auction houses deal on volume and sellers usually don’t care about getting top dollar. Craigslist: If you’re not comfortable with public auctions and don’t mind paying a slight private party sale premium, Craigslist is your next best choice. It’s free to post classified sales ads on Craigslist, and the site doesn’t take a cut of the selling price, so there’s never a shortage of autos for sale there. And, thanks to high buyer volumes, Craigslist is the venue of choice for truly motivated sellers. You’ll have no trouble finding undervalued cars here. However, the standard “buyer beware” caveat applies – Craigslist is a true DIY platform, and when things go south, you’re pretty much on your own. Be sure to watch out for common Craigslist scams as well. eBay: eBay Motors is an upmarket, better-regulated version of Craigslist. The selection is arguably even better than Craigslist at the middle and upper reaches of the market, but lower-priced cars tend to go fast here. There’s also a hefty fee for successful listings, so this isn’t the place to find ultra-motivated, one-off sellers. Newspaper Classifieds: Newspaper classifieds are now available in print and online. If you’re confining your car search to your hometown, check your local paper’s listings. Some old-fashioned sellers only list in the newspaper, so you’ll likely find deals you’d otherwise miss. Around Town: With the rise of online auto sales platforms, “For Sale” signs in car windshields are increasingly uncommon. But they’re not totally extinct. When you’re out around town, keep your eyes open for on-the-market cars priced well below fair market value. Anytime you see a price followed by “OBO” – “or best offer” – it’s a sure sign of a motivated seller. Be ready to swoop in. Don’t be afraid to strike up conversations with owners, or ask for permission to peek under the hood. Over time, you’ll get better at spotting motivated sellers. If you can make a deal on the spot, you’ll avoid a lengthy dance leading up to the sale and lock in a great price before someone else does. Paper Postings: Posted ads are another dying-but-not-quite-dead option. Like windshield signs, community board postings are favored by motivated sellers who want to get their listings out to as many proximate buyers as possible. Get in the habit of scanning boards wherever you find them and grabbing any numbers that suit your fancy. Pro Tip: Don’t bother looking for bargains at used car dealerships. Dealers’ advertised prices allow for healthy margins, even on negotiated sales. 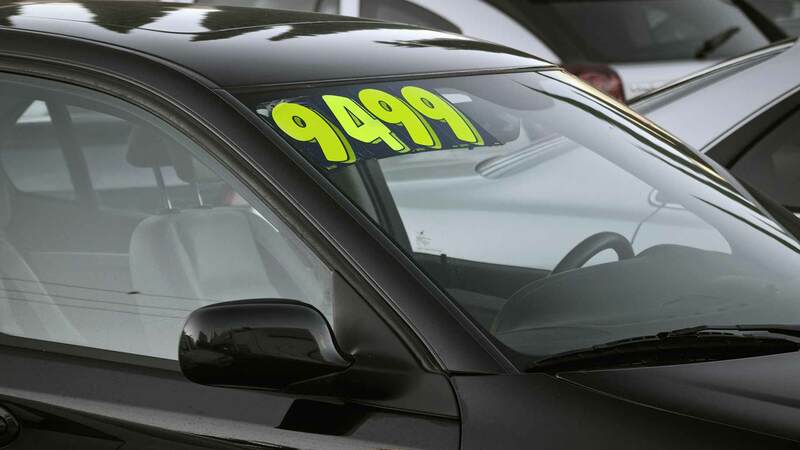 At the lower end of the used car market, sticker prices can easily run two or even three times private party value. Case in point: In 2016, a local dealer’s used car buyer offered me $1,500 cash for a high-mileage, decade-old American midsize sedan. He then told me he’d advertise the car at $3,500 to $4,000, to all but guarantee a profit of at least $1,500. I appreciated the transparency, but the experience permanently soured me on the dealer economy. A good car flipper never buys without a clear endgame. The sooner you get your current flip off your hands, the sooner you can start the next flip – or use the profits to pad your personal savings. In most places, the most “flippable” cars are low-mileage, efficient sedans, wagons, and compact SUVs from mass-market makes, such as Ford, Chevrolet, Toyota, and Honda. Because they’re known quantities, these vehicles have no shortage of prospective buyers. If you live in an affluent area, it may be worth your while to seek out undervalued luxury cars and rarer versions of mass-market models. Since they’re harder to find, buyers are often willing to pay a premium for them. However, you need to make sure your market has enough buyers who can afford – or care enough to pay extra for – such cars. Likewise, your area’s geography and climate may create niche opportunities not available to everyone else. In a snowy, mountainous area, you’ll have lots of four-wheel-drive cars to choose from – and lots of buyers willing to pay good money for them. In mild climates, you’ll likely clean up with convertibles. Be wary of “curveball” cars with unusual features that only seem appealing. For instance, many buyers don’t want or need aftermarket exhaust systems or ostentatious spoilers. Even features that once added appeal, such as manual transmissions, are now albatrosses in certain segments of the car market. “Make sure you are familiar with your potential buyers’ wants and needs before you invest in a vehicle that will be tough to sell,” says Tristan Jones, owner of Phoenix-based Mobile Car Dr. Translation: Getting less than you want for your flip is tough; getting saddled with a flip that you can’t sell is much worse. Whether you’re buying at a public auction, contacting Craigslist posters, or cruising around town looking for motivated sellers, follow these procedures to lock in a great price with minimal effort. As with any big purchase, you need to set a budget for your flip. Seasoned flippers recommend starting with at least $1,500 – enough for a serviceable auction car with moderate to high mileage and several years of service under its belt, ready to fetch perhaps $500 to $800 after expenses. Higher budgets mean higher profits, within reason: Many flippers caution against spending more than $5,000 to buy a flip, as the sphere of all-cash buyers gets smaller as you move up the price scale. Before you start buying, you probably need to scrounge up cash to match your budget. I say “probably” because many public auctions accept major credit cards. Still, unless you’re running a balance on a low APR credit card, you’ll need the cash soon enough to pay your bill. If this is your first flip, consider setting aside some extra cash – perhaps half your buying budget. That’ll come in handy on your second flip, after you’ve learned the ropes on a burner car and you’re ready to spend more for a healthier profit margin. The key to finding great deals on undervalued cars is preparation – and lots of it. Before you hit the auction, use KBB or Edmunds to ascertain fair market private party sales figures for common make, model, trim, and year combinations. If you’re using Craigslist or another online source, you can research at your leisure, pausing to look up the resale value whenever you see a car that strikes your fancy. You’ll use this fair market value information to find undervalued cars that promise healthy profits – though you’ll need to follow the rest of these tips to avoid selecting a flip that only seems undervalued. If you don’t know how to play, don’t get in the sandbox. Before you hit the auction lot, thoroughly review its rules and procedures. These can be pretty detailed – my local impound lot in Minneapolis has a 14-point rulebook that includes a slew of conditions and bureaucratic niceties, including the “when” and “how” of pre-auction car inspections. If you’re not familiar with the process, you’ll be steamrolled by more experienced auction-goers or, worse, unwittingly disqualified from the event. You also need to know how to legally transfer title and register your car. If you buy at auction, the lot will take care of this, but it’s a critical consideration for private party sales. Transfer and registration procedures vary somewhat by state. When in doubt, consult your local motor vehicle registry before proceeding. Once you’re face to face with a promising car, get busy checking it for defects. Start by visually inspecting the interior for damaged flooring, upholstery, safety features, and instrumentation. Don’t worry too much about trash and personal possessions: You can clean out the former, and the auction lot or private seller will take care of the latter. If you’re allowed to enter the car or even roll down the windows, check for unpleasant odors, such as rotting food or stale smoke. Odors can be neutralized with extra work – and expense – but that effort might not be worth it on a low-margin flip. Next, visually inspect the exterior. Is the car dirty? Wet your finger and run it along the side of the car. If you’re able to wipe off dirt with a single pass or a more vigorous scrub, the vehicle will likely look a lot better once it’s washed. Dirty isn’t necessarily bad – and it may scare off less savvy auction buyers. Thoroughly inspect for more serious imperfections: deep scratches, dings, dents, and rust (which usually appears along the wheel wells unless the car is in an advanced state of disrepair). Depending on the car’s resale value and your ideal buyer, you may need to invest substantial sums to repair these issues before you sell. After you’ve looked inside and out, pop the hood. According to Jones, the engine compartment’s general appearance is a key tell. “Cars with dirtier engine compartments tend to need more work,” he says. In other words, dirty engine compartments don’t bode well for your margins. Engine Oil: Check oil levels and color. Ideally, the level would be within the acceptable range and the color would be relatively light, but neither is a deal-breaker – it’s quick and cheap to change the oil once you’ve taken possession of the car. Leakage is a bigger, costlier issue. Radiator: The radiator’s water supply should maintain a normal temperature with no air bubbles or leakage. If the car overheats after a few minutes of operation or leaks water while running, it’s going to need repairs – the question is what kind, and how much they’ll cost. If you’re not a car expert, think carefully before you buy. Belts: With the engine turned off, carefully inspect the belts. Visible signs of wear, such as fraying or thinning, will need to be addressed before you sell. According to Angie’s List, you can expect to pay at least $500 to replace a timing belt – a substantial hit to your profit margin. Radiator Hose: Repeat this procedure for the radiator hose. This part isn’t quite as expensive as the timing belt, but it’s not cheap. According to RepairPal, a radiator hose replacement can cost upwards of $200. Transmission: Most auction lots don’t allow prospective buyers to drive cars during the inspection period. However, most private party sellers are fine with it (and if your seller isn’t, walk away). If you can take the car for a spin, pay close attention to the transmission’s performance. In an automatic transmission, a noticeable gap between shifting and engagement signals significant wear. A gap of longer than one to two seconds is worrisome – the transmission might not be long for this world. Brakes: Another test drive to-do: brake checks. Build up a good amount of speed, make sure the road is dry and clear, warn any passengers that you’re about to stop suddenly, and then engage the brake forcefully. You’re looking for a smooth, rapid, straight-line stop. Shaky, crooked, or worn-out brakes need replacement – not a deal-breaker, but a definite margin-eater. This is another question that can help you avoid a value trap. “I’ve found that when a car sits for too long, things tend to break shortly after it gets running again,” says Jones. “Be prepared to fix more than you might have expected,” especially if you’re buying older, underused cars. In other words, low mileage doesn’t mean low maintenance. If you’re buying in a private party sale, run its Vehicle Identification Number (VIN) with the National Insurance Crime Bureau and SaferCar.gov. Both are free. The former has accurate, up-to-date information about car theft, and can tell you whether the car was legally obtained by the current owner. The latter, a service of the National Highway Transportation Safety Administration, can tell you whether “a specific vehicle [e.g., the car you’re trying to buy] has not been repaired as part of a safety recall in the last 15 years.” You can also pay for a vehicle history report at Carfax, which shows changes in ownership or title, and any previous accidents. Once you’ve done thorough due diligence, cut to the chase. If you’re buying at auction, bid on the car when it comes up. Remain unemotional: The quickest way to destroy your margins is to get into a bidding war that pushes the sale price past your top dollar. If other bidders want the car more, let them have it. There are plenty more on the lot, no doubt. In a private party sale, try to drive the seller down to their bottom dollar (or below). This is where knowing how to spot motivated sellers comes in handy, even without a clear giveaway like “OBO” in the listing. Ask the seller why they’re parting with the car. If you’re lucky, they’ll reveal (probably indirectly) that they’re trying to raise money or need to sell fast in advance of a long-distance move – sure signs that they’re willing to budge on price. While it’s harder to walk away from a private deal when you’re face to face with the seller, the same “unemotional” logic applies here: It’s better to abandon a transaction in progress than to get stuck with a bad deal. You’ll find a better flip. If the car is really trashed or you simply don’t have time to do a thorough job, consider an auto detailing service. You’ll need to budget $150 to $300 for this, but the time and hassle saved may be worthwhile on higher-value vehicles. You’ve bought your car, warts and all. Now it’s time to see how unsightly those warts really are – and fix them at a reasonable cost. Unlike home buyers, used car buyers can’t commission the equivalent of a home inspection to find out exactly what’s wrong with their new rides – especially if they’re buying at auction, where speed and volume are the names of the game. But you can’t continue with your flip until you know what needs to happen to make the car attractive to prospective buyers – and how much it’ll cost. If you’re not mechanically inclined, you’ll need a reliable, cost-effective means of diagnosing potential problems with your newly acquired ride. 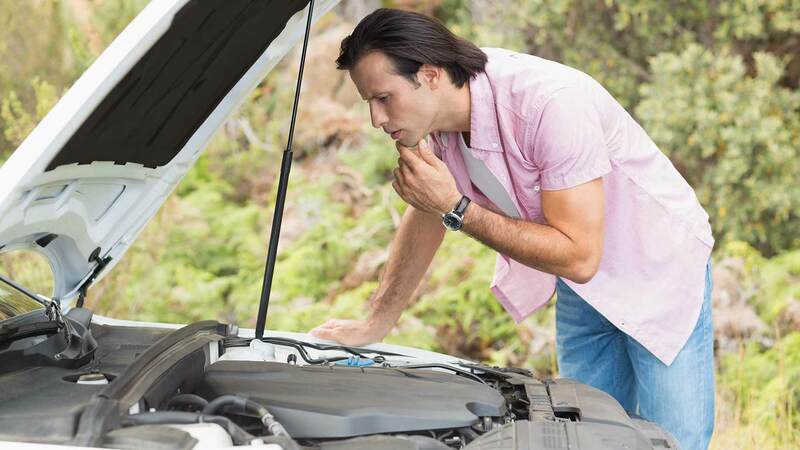 Before you take the vehicle to a mechanic, get a sense of what you might be up against. Heading straight to the repair shop is a surefire way to pay for repairs you don’t need, especially as a novice who doesn’t know a ball bearing from a carburetor. As you gain experience and confidence, you’ll find it easier to detect mechanics’ bluster. Googling the symptoms is a start, but filtering out overtly advertorial and self-interested information sources is a chore. Instead, consider navigating directly to purpose-built car repair sites, like RepairPal. RepairPal has a symptom checker that’s useful for nonexperts seeking to diagnose common car problems – though it’s not foolproof and isn’t a substitute for expert advice. You can also purchase a car diagnostic tool that plugs into the car directly and identifies any potential problems. This can give you a good starting point to better understand the issues and avoid getting swindled by mechanics. For procedural overviews of specific repair projects, search YouTube for highly rated how-to videos. While you shouldn’t try complicated repairs at home without proper equipment, you can at least learn how to spot common issues with a peek under the hood or drive around the block and get a sense of what’s involved in the repair process. There’s no substitute for firsthand knowledge. If you enjoy your first flip, get ready for the next by devoting a few hours per week to reading up on automotive systems and common auto repair jobs. You can find this information for free on websites like How Stuff Works , or in book form at your local library. Once you know what you’re dealing with, estimate your repair costs and set a strict budget for the whole job. RepairPal has a repair cost estimator that provides approximate repair costs for specific makes and models in any U.S. ZIP code. What’s Wrong With the Car. This is the primary determinant of your flip’s repair costs, and why it’s so important to thoroughly inspect vehicles before you buy. Bigger problems mean bigger repair bills. Your Target Margin. After expenses, how much do you want to make on your flip? You obviously know how much you spent to purchase the car, and based on your prepurchase market research, you have a good sense of what it’ll fetch in a private sale. Find the difference between those two figures, then subtract your target profit margin. That final number is your top repair dollar – you can’t spend more without accepting a below-target margin. The Vehicle Make and Model. Vehicle repair and maintenance costs vary widely by make and model. According to Your Mechanic, European luxury brands (BMW, Mercedes-Benz, Audi) cost far more to maintain than economical imports (Toyota, Honda, Hyundai). Over 10 years, BMWs cost about $12,000 more to maintain than Toyotas. You won’t have your luxury flip nearly as long, but due to higher costs for parts and labor, you can still expect to pay a hefty premium for any repair or maintenance work that it does happen to need. Prevailing Repair Costs in Your Area. Auto repair costs vary by location. In affluent areas and expensive coastal cities, everything is a bit more expensive, including car work. In small towns and remote regions, where qualified mechanics are few and far between, those who remain can charge more for their services. It may be worth your while to venture farther afield for affordable repair and maintenance work or go DIY, though you’ll have to weigh the savings against the added time and money lost to the longer journey. After you’ve set your budget, research highly rated repair shops in your area. Source complimentary repair quotes from three or four. If your vehicle needs electronic diagnostics – for instance, the Check Engine light is on and you can’t ascertain the problem on your own – you’ll need to pay out of pocket, usually in the $50 to $75 range. Cut costs by running an electronic diagnosis at one repair shop only or by buying a car diagnostic tool for around $20-30 and running tests yourself. The answer should always be the same. Once you have all your quotes and (if applicable) your electronic diagnostics report in hand, choose the lowest-priced option unless there’s a compelling reason to go higher – perhaps you got a bad feeling from the cheapest mechanic, or you need to list your vehicle ASAP and are willing to pay a premium for faster service. Pro Tip: Avoid nonessential repairs that don’t directly add to your vehicle’s resale value. Unnecessary bells and whistles, like a souped-up stereo system or fancy exhaust assembly, shrink your pool of potential buyers without increasing your eventual payoff. 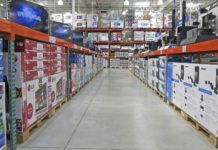 For casual flippers, the effort required to find buyers seeking aftermarket add-ons isn’t worth the premium they might be willing to pay. Once you’ve cleaned up your car and addressed any pressing mechanical or maintenance issues, it’s time to price, list, and sell your car – in that order. First, set a fair list price for your flip, plus a “bottom dollar” – the lowest figure you’ll accept under any circumstances. Use at least two car pricing tools to ascertain your flip’s fair market value for private sales. KBB and Edmunds are most flippers’ go-to tools. Be brutally honest about your car’s condition, and be sure you’re finding values for your home ZIP code. Minor variations in geography or condition can have big impacts on your final sale price, for better or worse. Next, set your bottom dollar. In auctioneering terms, this is your reserve price – the fail-safe that guarantees an adequate profit. It should be no more than 10% below fair market value for your flip’s make, model, and condition. If you’re open to negotiating with buyers, your bottom dollar ensures that you don’t get carried away and go too low – a common problem for motivated sellers without much flipping experience. Next, find the right venue for your flip and create a compelling listing. Craigslist isn’t always the best choice for a quick, profitable flip. Specialized or high-end cars often languish on Craigslist race-to-the-bottom boards. Tristan Jones recalls a frustrating experience with an in-demand luxury car that looked great on paper: a 1998 BMW M3 convertible. After trying and failing to sell the car online, he realized he wasn’t reaching the right pool of prospective buyers. Before you create your listing, conduct a thorough search for similar vehicles listed for private party sale in your area. Where are they listed? Who’s selling them? What features or characteristics do their listings highlight? You don’t have to put all your eggs in one basket. Craigslist is free, so why not pair a Craigslist posting with a window sign or community board flyer? Alternatively, if you can find a high-visibility lot that allows free long-term parking, consider leaving your flip there for long periods with a conspicuous sign. As you look for the appropriate venue, think about your ideal buyer. Are they a college student? A discerning professional? A parent with multiple children? Place your online and in-person ads accordingly – on college campuses for student-friendly cars, upscale coffee shops for professionals, and the local YMCA or community center for harried parents. Pro Tip: Just as you shouldn’t look for bargain buys at the dealer, you shouldn’t expect your car to fetch top dollar from the dealer either. Dealers typically pay 20% to 30% less than private party value – an unacceptable haircut for anyone looking to maximize their flip’s profit. As you create your listing, never forget: A good car sells itself. Leave the sales-y, aggressive language to the professional dealers – they have enough credulous buyers to keep them busy. A good listing has as many pictures as the format allows. If you’re posting on Craigslist, take photos of the vehicle from all four directions, taking care to blur the license plate and any other identifying information. If you’re posting on a board around town, include at least one high-quality picture. Spell out the car’s basic characteristics, such as transmission type. Highlight any notable features like a sunroof or optional third row. And describe its condition in general terms – good, very good, excellent – along with any major mechanical issues that the buyer won’t miss. If you’re listing on a board, you need to give out personal contact information – at least your email, and preferably your phone number too. On Craigslist, you have the option to work through an anonymous messaging system. However, you’re likely to close the sale faster if you give out your digits. If your car is priced right and listed in the right places, you should start hearing from interested parties soon. Here’s how to deal with them. In the world of private party auto sales, cash is king. Before you meet your buyer, verify that they’re paying with cash or a bank check. Don’t accept personal checks from anyone you don’t know unless they’re willing to let you keep the title until the check clears – which isn’t likely. After verifying that the buyer plans to pay with cash, chat them up a bit. The goal here is to confirm that they’re serious about buying, not simply kicking tires or (less likely) setting you up for a robbery or scam. Ask them about their plans for the car – are they buying for a high school or college student, adding a commuter car to the household, trading up or down from their current vehicle, or something else? Most buyers are happy to oblige. If you’re comfortable with the buyer, set up a time and place to meet. Public places are ideal: church or school parking lots, highway waysides, office parks. For safety’s sake, tell at least one other person where you’re going and when. Before moving forward with the sale, briefly chat with the buyer again about their intentions. If they seem reticent to reveal basic details about themselves or their designs for the car, or if their story has changed in key respects from your initial phone conversation, use your best judgment about whether to proceed. Remember, this isn’t the only person in the world who wants this car. You can always find another buyer. Among seasoned car flippers, negotiation is a surprisingly controversial topic. Flippers are of two minds: Some actively invite their buyers to negotiate, while others flatly refuse to engage with negotiators. If you’re okay with negotiation, price your car on the high side: 10% to 15% above fair market value for private party sales. Smart buyers will try to talk you down, but that’s fine, as you have plenty of wiggle room built into your price. 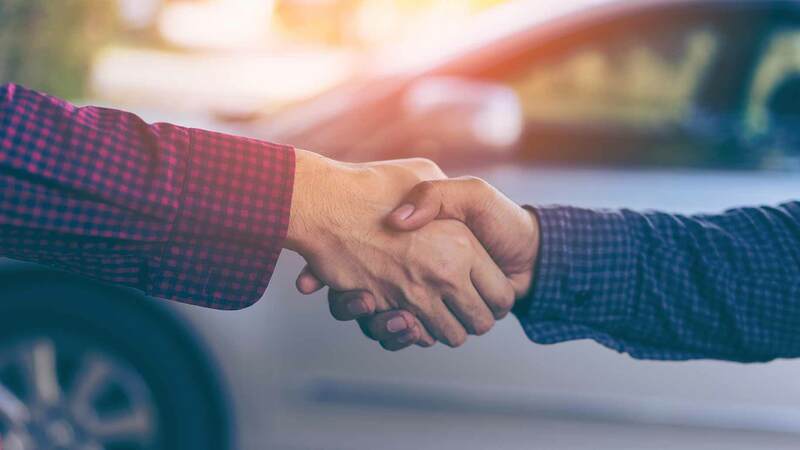 Fans of negotiation argue that most buyers like to feel as if they’re getting a good deal, and are therefore less likely to drive hard bargains on slightly overpriced cars. Instead, they’ll work sellers down to fair market value and call it good. If you prefer not to negotiate and you’re not in a hurry to sell, price your car lower – at or just below fair market value. Eventually, someone will probably bite. And, if not, you can always lower your asking price closer to your bottom dollar. You’ll still take home a tidy profit, and your buyer will have gotten a great deal. If it wasn’t already clear, flipping cars for profit is tough work. If you’re seeking opportunities to earn side income with little to no effort, check out our excellent piece on the best passive income stream ideas. There, you’ll find truly hands-off ideas that promise steady payoffs over time – sometimes years or decades in the future. On the other hand, if you love the idea of (literally) getting your hands dirty, flipping used cars might be the right “active income” pursuit for you. Give it a try and let us know how it goes. Have you ever tried car flipping?